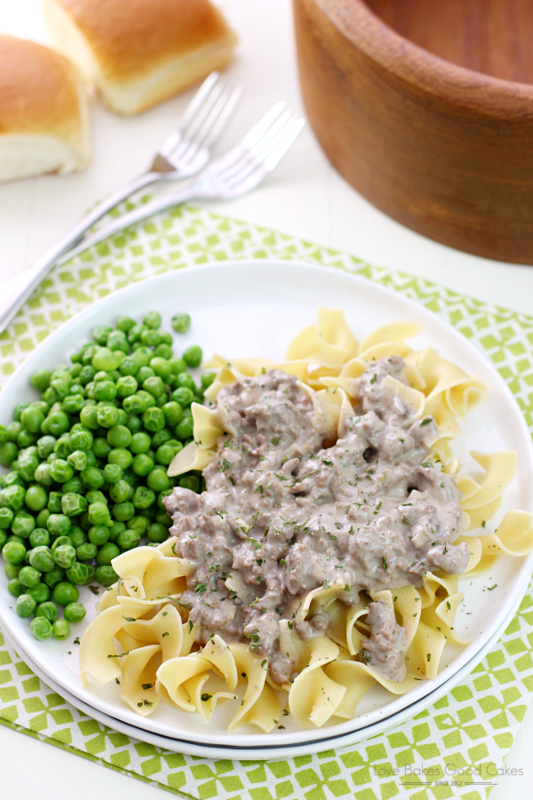 This Hamburger Stroganoff is easy on the budget and it makes the perfect weeknight meal! 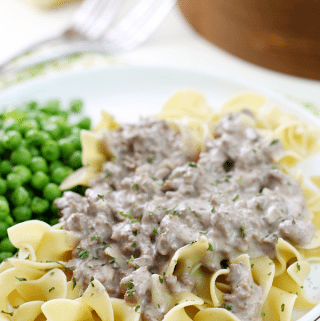 This Hamburger Stroganoff recipe is great for those crazy nights! 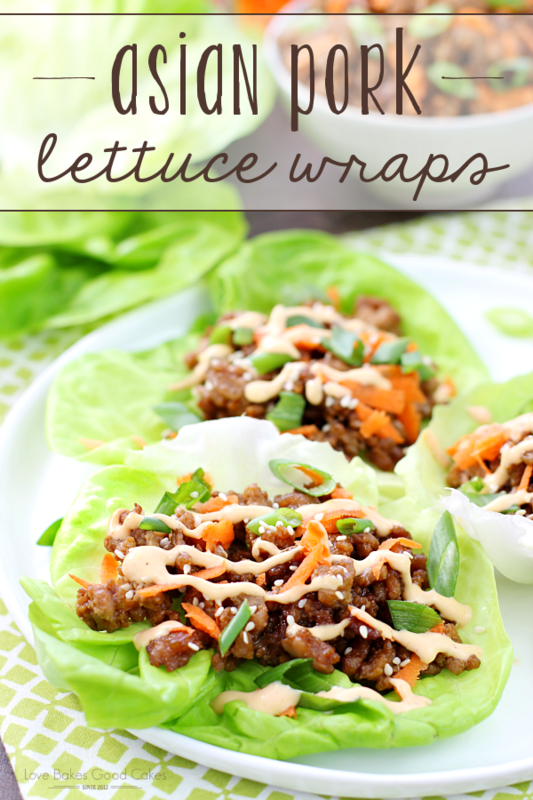 Not only is it super simple and quick, but since it uses ground beef, it’s a bit more budget-friendly … and I know we can all use some of that! For nights when I need dinner lightning quick (and let me be honest by saying, or those nights when I feel lazy! ), I use canned cream of mushroom soup. However, I have had just as great of success with making my own cream sauce – and I have provided BOTH options for you! If you don’t mind canned soup, feel free to use that shortcut. If canned soup is not your style, no worries there either – the from-scratch sauce comes together quickly and easily! Cook beef, onion, and garlic over medium heat until meat is no longer pink; drain. Stir in soup. Simmer uncovered for about 10 minutes. Stir in sour cream and cook until mixture is hot. DO NOT BOIL! Serve over cooked noodles. Garnish with parsley, if desired. Melt 2 tbsp. butter in a saucepan. Stir in 3 tbsp. flour and stir until smooth and bubbly. While continuously stirring, add 1/2 cup chicken broth and 1/2 cup milk. Bring to a low boil, continuing to stir until it thickens. Salt and pepper to taste. Use in place of canned cream of "whatever kind" of soup. You can also add herbs, celery or mushrooms. Love your recipes, thanks! Pinning all of them. Thanks Debi 🙂 See you Thursday! 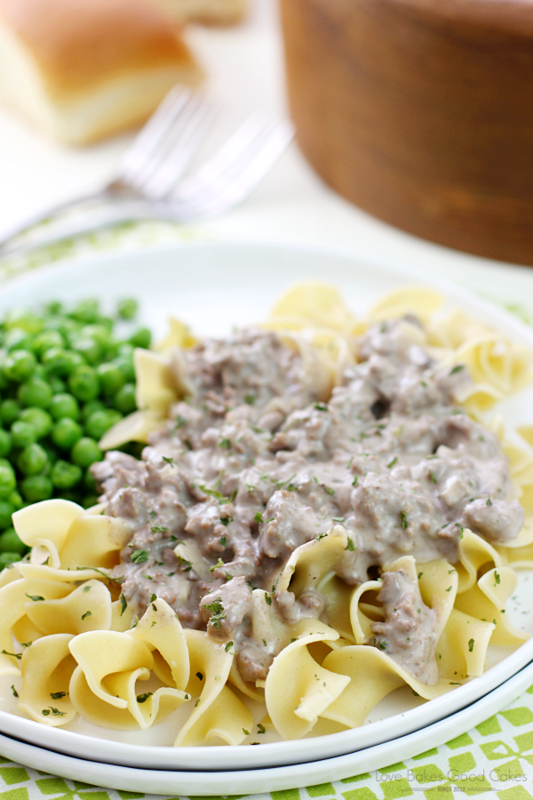 Jamie, We just love Hamburger Stroganoff and your recipe looks delicious! Hope you have a great holiday week end and thanks so much for sharing with Full Plate Thursday. We love Stroganoff. Yum! 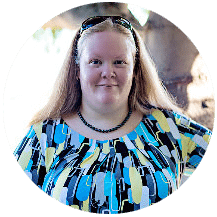 I am having a Feature Friday linky party and I would love for you to link this up. Thanks Evelyn! Hope you enjoy! 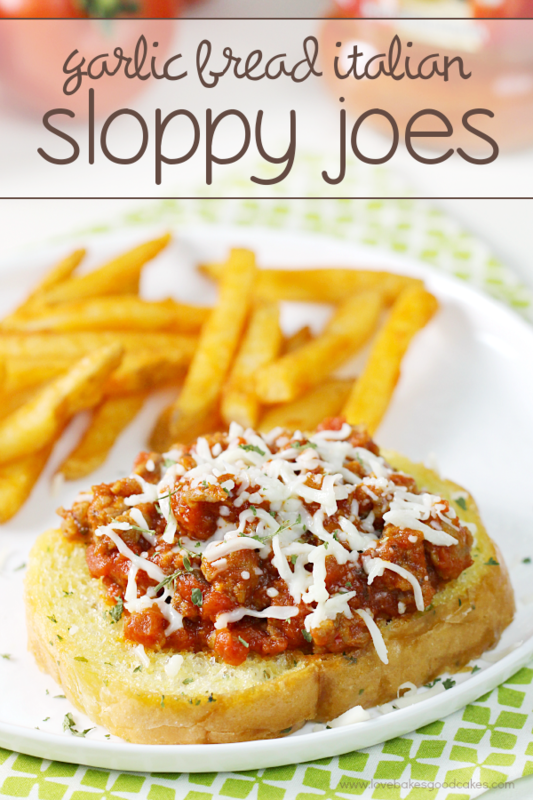 I love how easy this is to make, perfect for a weeknight meal! Thanks for sharing at Showcase Your Talent Thursday! This looks amazing! I have never tried my Stroganoff with ground meat, but I will now. What a time saver 🙂 Thanks so much for linking up to Creative Thursday last week. I can’t wait to see what you link up this week. Have a great week. Oh Jamie, I'm so observant! This is the recipe I was telling you about. I had just went to the store and bought the ingredients, for a Thursday Post. Oh well 🙂 we have supper for tonight anyways. It is one of my family's favorites. So quick and easy, I made it a lot when my kids were growing up. Pinned it! First time I've heard a condensed soup substitute; what a great tip. 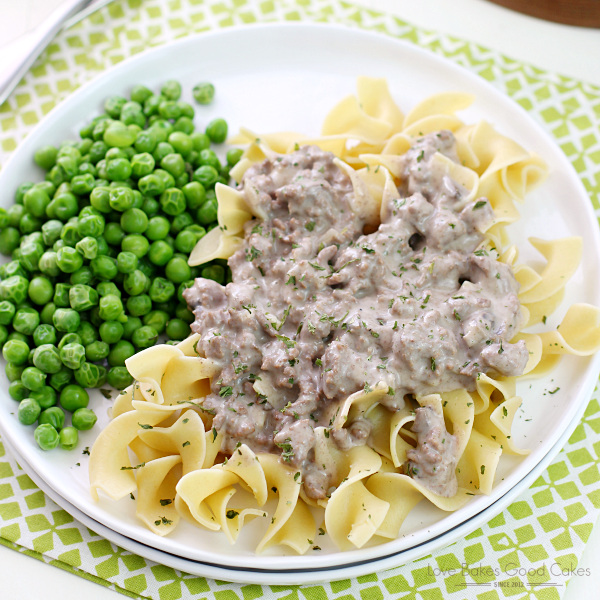 I grew up on stroganoff and never think to make it now. 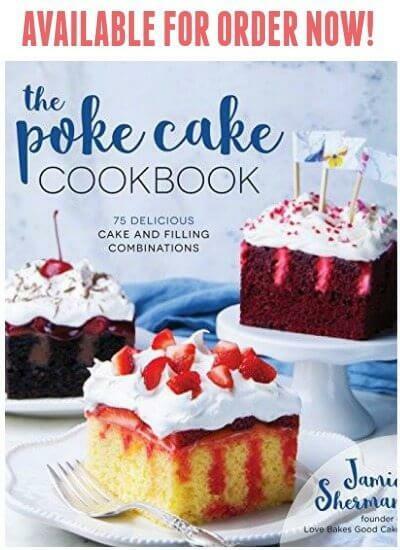 This homemade version looks delicious, Jamie! Love the recipe, thanks for sharing! Making this tonight.